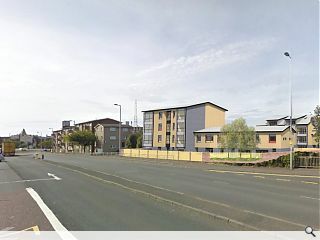 Ayrshire Housing have submitted a planning application for the delivery of 22 flats and houses in Ayr town centre at the junction of King Street and Limonds Wynd on the site of a former pub and school. 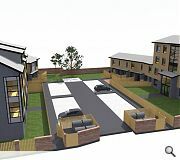 Designed by John Gilbert Architects the properties will all be made available for rent upon completion and will be arranged around two individual blocks, each orientated to allow south facing public rooms and a sun space in most flats. Ayrshire Housing recently purchased the former Prince of Wales pub and South Ayrshire Council has indicated its readiness to sell an adjacent school building to create the development site. Consent to demolish the existing buildings is already in place and construction work could go ahead as early as the autumn.